I’m Cat, 31. Serena is my first baby. She was born on 13th January 2014. I would describe my approach to motherhood as relatively chilled out. I’m pretty lazy so I’ll do anything for an easy life and minimal crying. I don’t mind bodily fluids that much and I can handle the night feeds but I do mind that horrendous 6:30 wake up call; I leave that one to the husband. I hate all housework except for washing up but my worst jobs are hoovering and putting away laundry. I’ve developed a neat system to help me with the latter (see life hacks). I bribe my husband to do the former. I get through the day using a combination of a lot of coffee, made-up songs to entertain my daughter (with lyrics that amuse me), to-do lists including things like “make dinner”, “do some exercise”, “drink 2 litres of water” and “ring grandma” (that never get done), box sets on sky+, daydreaming about lazy ways to make millions of pounds, fantasy online shopping, and making sure I always have a shower and put on make up (that way never doing my hair and always spending the day in my pyjamas is more acceptable). I want to bring my kids up to have good manners, respect their (and other people’s) property and not cry like its the end of the world when they fall over. Oh, and to sit at the table and eat dinner like a small human being and not a wild monkey with ADD. This coming from the woman who wanted a water birth with no drugs, never to use a dummy and only use re-usable nappies. Welcome to the jungle; bring Ritalin. 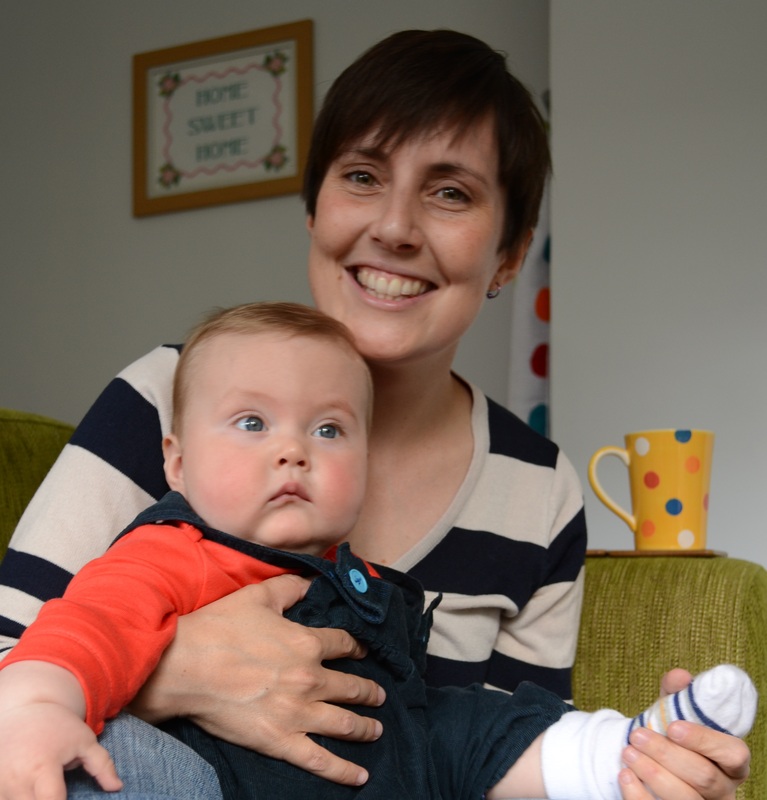 My name is Vicky and I am 35, though I hasten to add that my baby was born when I was 34. Because that makes me feel younger (I’ve aged at least 25 years in the 20 weeks since she was born). My little girl is called Hannah and was born on 7th December 2013; I was disappointed to learn that she was only 8lbs 2oz after all the effort I had put in to pushing her out into the world but…. I would describe my approach to motherhood as fairly structured, though everyone I know keeps telling me how chilled and relaxed I’ve been since she was born. 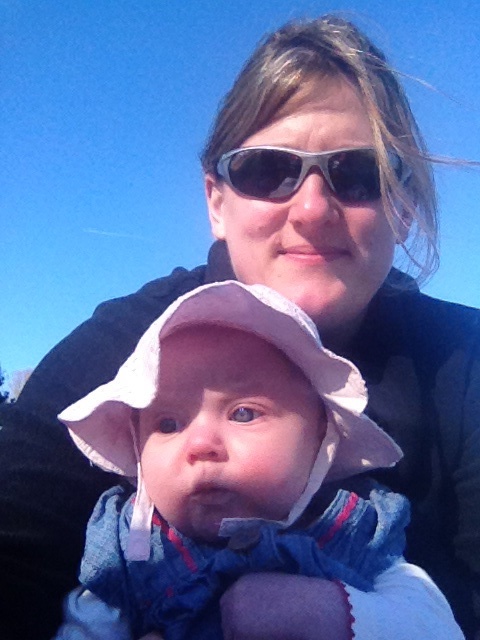 Hannah is an IVF baby (actually ICSI) and so we had a long old time to think about the kind of parents we wanted to be and how we’d manage parenthood. Well that’s pretty much been thrown out of the window and to be honest I’m kind of glad it did. I’ve found a strange joy in doing the vast majority of the night feeds (he can’t do it because I’m breastfeeding – sort of), I find I don’t really sweat the small stuff anymore and when I’m at my lowest ebb Hannah can always make me smile. I don’t really know how I get through the day to be honest – I find I make lots of plans and then at the end of the day seem to find that wiping the kitchen surfaces is an achievement. 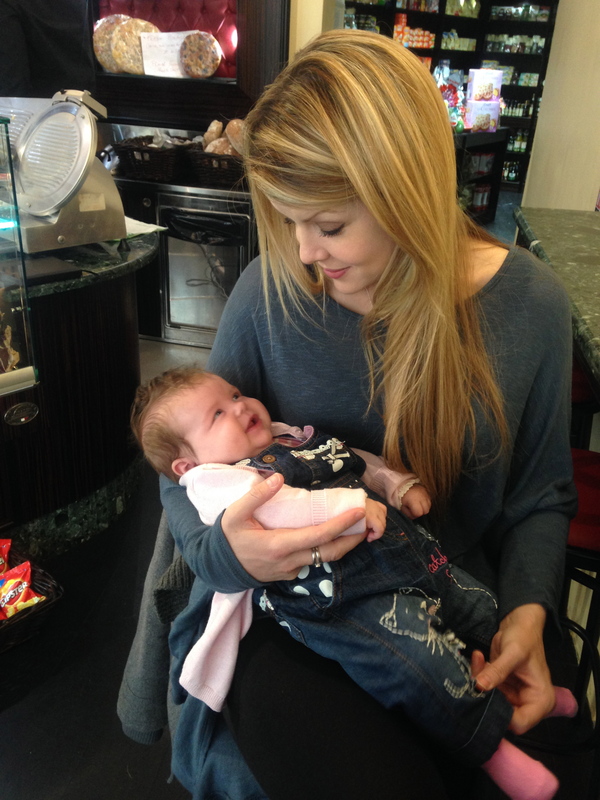 And then having to explain to my husband why it’s important to go out for coffee with my mummy friends….. seriously it IS! 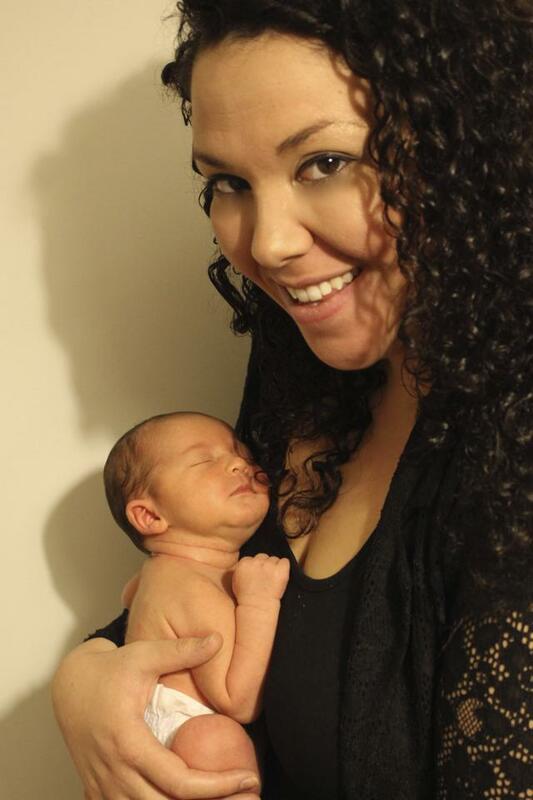 I’m Bree, 28 and mum/mom to our bi-continental baby girl Isabella “Izzie” (born 6th December 2013). I say bi-continental as she is 50% British, 50% Canadian and 100% Diva! Izzie is our first child and she sure has a personality. Lucky she’s cute! We have recently moved back to Canada from London UK and life is even more hectic than usual. My parenting style is laid back and affectionate. I am constantly wondering whether it is possible to give your child too many kisses and cuddles, though I’ve recently decided that this is in fact not possible so I continue to do it! I wake up every day with good intentions and aim to use my “mum organiser” or at least follow some sort of schedule but to be honest it never pans out and I basically just wing it. Each day is a new experience and we have no routine, try as I might, nothing ever goes to plan. Much to my wonderful hubby’s dismay, we love a good PJ day! We are “fly by the seat of our pants” kinda gals and that’s just the way we roll! My aim is to raise happy and well mannered children and have a lot of fun doing it. A sense of humour is essential and everything else is optional. A day in the life of our family is rarely planned and never boring! My name is Ruth and I’m 31. My son Samuel was born on 10th January 2014 at a surprisingly light (for parents both close to 6ft tall) 7lbs 10 oz and very kindly bang on his due date which completely took me by surprise having been told numerous times that first babies are always late. Although I’ve always seen having children as part of what I wanted to do at some point I thought there might be a time when I would suddenly feel ready and anyway I thought it would take years to fall pregnant so we started trying not long after getting married. It was a shock (a good one obviously but still scary) to find myself with a newborn baby less than a year later. 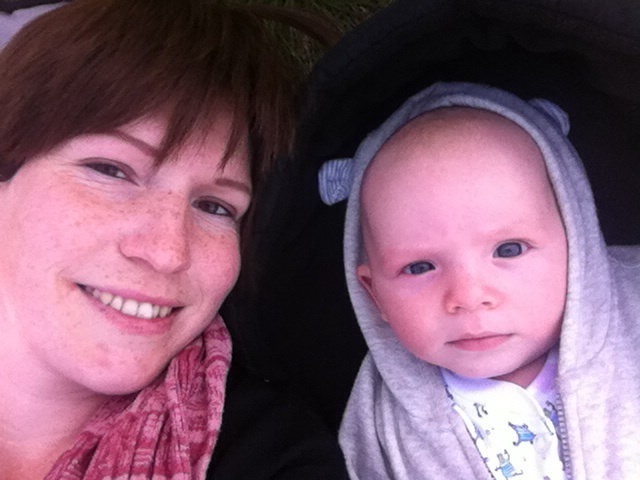 I’m probably the least maternal person I know and was terrified I wouldn’t manage motherhood that well. In addition I was completely and utterly clueless, I really had no idea at all, I had never even held a baby before my own! Anyway despite starting with no routine at all, hardly any of the nursery full of things that books tell you that babies must have and a nappy bag consisting of 3 nappies, some wet wipes and a change of clothes, we seem to have managed so far. My son luckily is much more organised and has quickly established his own routine which is great; if he takes as much care in choosing me a care home as he does in what time he eats I will be sorted. I’m Anna, 29. My little boy James was born on the 19th October 2013. He’s my second baby after the stillbirth of my daughter Rose in 2012. We first decided to try for a baby after suddenly realising some sort of zen-like baby-ready state simply doesn’t exist and we were as ready as we were going to be. I was stupidly surprised when I fell pregnant very quickly (I did study A-level Biology after all) and it was the saddest thing in the world when I had to say hello and goodbye to my daughter all at once. My journey took another twist when just three months later I found out I was pregnant again and I am only just letting myself believe that James is really here! After all that trauma and a nerve wracking pregnancy I’m surprised to find that I’m quite a relaxed mum. I never quite feel like I know what I’m doing, but I must look like I do which is good enough. I’m a DIY nut and would rather make things at home before setting foot in a shop. And I’d love to become one of those mums who can have a career and a family and make it work (who am I kidding?!) I want to give James the world and for him to be happy, kind and polite. Hey! I have nominated you for the Liebster Award!!! I love your mummy stories and real life experiences that make us all realise we aren’t in it alone! 1. What is the favourite post you have written on your blog? 2. What is your favourite sandwich? 3. What has been your favourite holiday and why? 4. What is the nicest thing someone has ever done for you? 5. What 3 items would you take with you to a desert island? 6. What time or era would you go back to in a time machine? 7. What is the favourite post that I have written on my blog? 8. What does the word didactic mean?